We’ve reached that stage in December where we start to look back at what we’ve been up to throughout the year that has been 2012. 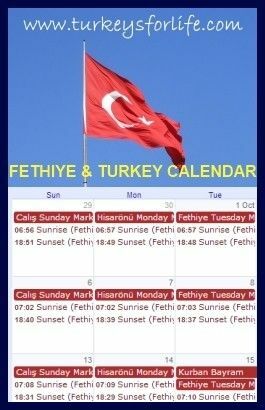 Before we start rambling on about us though, let’s look back to what’s happened in Fethiye. Nothing stands still for long in this town these days, but we think it’s fair to say the main talking point has been the creation of the new Fethiye Town Square and refurbishment of Uğur Mumcu Park. Way back in February, we wrote about plans for the new Fethiye town square and took photos of the hoardings displaying the plans. Artist’s impressions galore (and the completed park is actually not that far removed from the drawings) and then work started…and then it rained…a lot. Disruption continued throughout the summer season and in September we did a photo run through of progress. Final snagging has been done on the kiosks and restaurant – and so it’s about time for a final 2012 round up of the Fethiye Town Square. The best aspect to all of this is that we’ve done a lot of asking around and asked on our Facebook page. Only a couple of people we’ve been in contact with are unimpressed. Everyone has been most impressed with the night scenes and the fountains around the park. Throughout late summer and early autumn, the fountains danced to music while onlookers snapped photos. Not us! But then that’s us – no sense of urgency. We’ll see it all in good time. No rush. It took the arrival of Cumhuriyet Bayramı (Republic Day) to provide us with the opportunity to get some photos of the rainbow fountains. We were making our way to the Fethiye market area so we could watch the torchlit procession and the fountains lit our way. Well, we can think of worse routes to take. But, in the last post we did back in September, we were still awaiting one missing piece in the jigsaw puzzle. Yes, we were eagerly awaiting the promised Fethiye clock tower. And here it is. Granted, it’s not the typical-style clock tower the Ottomans were so keen on – compare it to Izmir Saat Kulesi (Izmir clock tower) and you’ll see what we mean – but this is Fethiye and it’s 2012. A little modernity, if you please. Each face of the clock shows the time in four different cities: Istanbul, London, Moscow and New York. Despite the fact that the fountains far outshine it, we’re rather fond of our Fethiye clock tower. Nostalgia and modernity rolled into one. And well, we just love the new glass-bottomed bridge. The photos surrounding the clock above show how the glass changes colour. It’s all a bit retro – think 1970s disco dance floor. The water pelts the glass from below while the lighting blurs into various neon colours. And, if you move away from the bridge, you can see what’s going on below – the mechanics that create the disco floor effect. Yes, as well as the clock tower, we’re also fond of our new bridge. But when they’re in full flow, the fountains of Fethiye really do steal the show. Great place for a John Travolta look-a-like dance contest.